Topics include pre-conception nutrition for mother and father, childbirth, breastfeeding, vaccines, childhood illnesses, child spacing, attachment parenting and more! I was asked to be interviewed with Sally Fallon Morell for the Food Integrity Now website. You can hear the recorded interview that Carol Grieve conducted, and/or read the following summation. 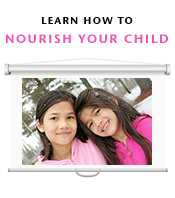 Learn more about the Nourishing Traditions Book of Baby & Child Care. Sally let us know that there are now 16,000 members of the Weston A. Price Foundation. Preconception: Most modern mothers who are planning to conceive are simply told to take prenatal vitamins, no other preparations are recommended. Traditional cultures engaged in specifically feeding for both parents for at least 6 month before conception. Sally mentioned the published recommended diet. We’ve now had 10 years of babies being born to mother’s following this diet and they are essentially, a bundle of joy. The Importance of raw milk. Raw milk so much more available than even 7 or 8 years ago. Sally would suggest that it is worth moving to a place that raw milk is available because raw milk ensures optimal development of the child. Raw cheese and bone broth would substitute for bone broth. Preparing for the baby. Note that the father’s diet is also important – we know, totally based on science, that the quality of the sperm at time of conception is based on father’s diet. It needs to be a family a diet, followed together. Cholesterol. For women, there is no such thing as high cholesterol, there is no greater risk of heart disease for women at any level, even if it is in the thousands [see The Benefits of High Cholesterol and corresponding references]. The tragedy of making a villan out of cholesterol is our children. Our children are paying the price because cholesterol is absolutely critical for forming the baby – hormones, development of brain, nervous system and most critically for the development of the gut, to get the good type of non-leaky gut. Eggs. In our presentation, based on Sally Fallon Morell’s presentation, we recount that a pregnant woman will eat up to 10 eggs a day if she can afford them. I was told by a nutritionist who practices within our community that even having 2 to 3 eggs a day would be prohibitive [being that she favors a focus on rotational eating]. There is still a persistent fear of eggs. Sally points out that even the most ardent proponents of the cholesterol theory, such as Ancel Keyes, was very infatic that the diet did not influence cholesterol levels and that is why they started pushing the drugs, because they couldn’t bring cholesterol levels down in a consistent way. There have been a number of studies exonerating eggs, including a man who ate 50 eggs a day, and he had normal cholesterol. So we are demonizing one of the most nutritious foods. The egg white is very difficult for some people to digest. If that is the case, use them egg yolks in smoothies and make custards with the yolks. Nutrition for Fetal Development. Sally highlights the importance of Vitamin A during the first trimester when the organs are being formed. It is the concert master of fetal development. It gives the stem cells the signals to become heart cells or kidney cells, and so forth. If you don’t have enough Vitamin A before you become pregnant, than things can go wrong. This underscores the need to build up our stores of Vitamin A before we get pregnant and then continue with these Vitamin A rich foods such as egg yolks, liver, fish eggs. Cod Liver Oil. Provides a nice balance of Vitamin A and D that is critical to fetal development. It is recommended that it is taken before, during and after pregnancy and given to babies early. It is recommended that one start early. Sally puts her cod liver oil to a small shot glass and mixes it with warm to hot water. Prenatal vitamins. Not recommended. All synthetic, made in big factories … almost 100% of them are made in China, where there is no oversight on how they are made. Vitamin A in these are from carotenes, and one may get to much carotene which can actually disrupt true Vitamin A. Also of concern, GMOs are used to produced these vitamins through a fermentation process. Dr. Ron’s multi-vitamin without Vitamins A and D in case one insists on taking them, along with cod liver oil. Saturated fats are highly recommended while pregnant, despite popular advise to avoid them. Weight gain – Sally suggests that if one gains more weight during pregnancy than is advised, not to be worried. She said it is better to gain a little more weight than less. When wants to lose weight, the recommendation is to cut back on carbohydrates. Ultra Sounds. Beyond once or twice while pregnant, there are dangers of ultra sounds. They are associated with left handedness, delayed speech, delayed development. Fetal monitors are also a form of ultra sound. Find a doctor that will use a fetal scope, which is stethoscope to listen to the baby. Natural Childbirth is recommended, in part because an ultrasound is on the whole time during a cesarian. The noise is like a train coming into a station. Nonetheless, the cesarian is a life saver. Good nutrition, the fat soluble vitamins A and D will also support and quick and [relatively] easy birth. Homemade Baby Formula – Sally acknowledges that she has received a lot of criticism from breastfeeding advocates asserting that she is against breastfeeding. She clarifies that she is not against breastfeeding. She considers herself a realist. Breastfeeding doesn’t always work, there is an estimate that 10% to 15% of women simply don’t have enough supply. This is true in the animal world. Sally has dairy cows and explains that amongst the cows, there is a variety of production, some produce 4 gallons, others give half a gallon. These mothers need a good nutritious formula which is based on raw milk, as an alternative to commercial raw milk. See this related post on the topic. Criticism of Baby Formula – I spoke to the fact that there are those who suggest that the homemade baby formula is an “easy option”. That some suggest that mothers aren’t getting enough support in breastfeeding, that there may be an issue that hasn’t been uncovered related to why the breastfeeding isn’t successful. Sally suggested that may very well be true, however one doesn’t have a lot of time. They need to feed their babies. Donor Milk – I spoke to the fact that there are those who think that donor milk “should be” the next option before formula. I also address the concern expressed that the milk in donor banks is pasteurized and one may not know the quality of the mother’s diet. Sally highlights the fact that there is a section in her book about donor milk and resources, but she does wonder how realistic it is to think that all of these mothers who can’t nurse are going to find donor milk! That is a lot of milk! Again, you simply don’t have a lot of time to figure out what you’re going to do if your baby isn’t thriving on what you can produce. Quality of Breast Milk – I raised the assertion I often hear in our discussions that “Even the worst quality breast milk is still better than any formula, commercial, homemade or otherwise.” The Le Leche League asserts, “Your milk has every vitamin, mineral and other nutritional element that your baby’s body needs … There’s no reason to worry about the quality of your milk. Eating more won’t make more milk and not eating enough won’t make less milk.” The Womanly Art of Breastfeeding, Eighth Edition, La Leche League, 2010. Sally explains that she spends a lot of time in the book showing, with scientific studies with references, the great disparity you can have in nutrients in the milk depending on the diet. Sally is very proud of the fact that this is the most scientifically based book on babies out there with pages and pages of references, which is not typical. See this related post on the topic. Soy Infant Baby Formula. Soy is a goitrogen and causes thyroid problem. When talking about the development of the child, it is an endocrine disruptor that passes through the placenta that causes changes in the baby. Animal studies show much more anxious rats. Soy infant formula is like the kiss of death. Hard on the digestion system. There is no greater example in Sally’s opinion of how wrong we’ve gone in our society than if we think it is okay to give soy infant formula to babies. GMO’s. There is a strong warning against genetically modified foods in the book. Vaccinations. Squarely against vaccinations. If your child is fully vaccinated, he will have 36 shots by the age of 5 and that starts on the first day in the hospital. They don’t stop at that age. Sally and Dr. Cowan assert that they lead to is autoimmune diseases. Children who are vaccinations get sick more often. Children who are not vaccinations develop their own immune systems and are healthier all around. If you must vaccinate, Sally suggests you at least wait until the age of 2. Whopping Cough. We spoke about this article, posted on our blog earlier this week, and how it was a rare disease in during Sally and Carol’s childhoods. Sally speculated that the disease may be somehow more prevalent because of the vacine just as Leslie Manookiann did. Dangers of Fluoride – it is an enzyme inhibitor and thyroid suppressant. Even our government warns now that children should not have too much fluoride it toothpaste being that it leads to modeled teeth. Dr. Price didn’t find any natives using fluoride and they all had beautiful healthy teeth. Vitamin K is the key nutrient for healthy teeth. If you have adequate levels of vitamin K in your saliva you won’t get cavities. Vitamin K from liver, cheese, egg yolks, the fats of grass fed animals. It is recommended that one install a water filtration system to remove fluoride. Child Spacing – I mentioned that this is one of the more controversial topics we’ve discussed. Sally explains that people can do whatever they want however, both tradition and the science affirm that the ideal spacing between children is 3 years or more. Not only for the physical health of the baby and the mother but, for the child’s emotional development. It gives the mother a chance to recover. In regard to the desire to leave it all up to God, Sally likes to think of it as a partnership with God. Traditional people were very, very attuned with the spiritual world and they certainly believed that it was entirely their responsibility to eat properly and to space between the children. If you use that argument, you might as well say, it doesn’t matter how you eat, it’s all up to God. And that is what a lot of people do say, when things so wrong, they just blame God. See this related post on the topic. Ear Infections – antibiotics are no longer routinely given to children. Number one is to get them off pasteurized milk products. It is associated with frequent ear infections. Breast milk is found to be of value in clearing up ear infections. See our Facebook discussion on the topic. Chicken pocks, measles and mumps. These diseases have been in decline for many years, long before vacccinations. The child should have these diseases strengthens the immune system. Fevers are important. Usually the illnesses are very mild. Attachment parenting. Sally couldn’t disagree more with this theory. She thinks that it is a tremendous burden on the mother and the child. The child doesn’t want or need to be held all the time. Sally talks about alternating between putting the child in a baby like seat at a 45 degree angle so he can watch whats going, and then baby needs to be unfettered on the floor, learning how to roll over and sit up and crawl, and then the baby needs to be held and nursed. Sally asserts that is not good for the mother or baby to be held all the time. Baby’s like to be alone just like adults like to be alone. Baby’s need a lot of developing to do and they need to do that on their own alone. Sally’s babies didn’t want her to hold them. I referred to this widely popular banner that ended up being viewed over 100,000 times and liked and shared over 850 times, whereby the consensus was that a baby can’t be held too much yet, Sally said that she thinks a baby can, in fact, be held too much. What do you think about the many opinions shared? Let us focus on ideas and not individuals. I am very aware of the WAPF’s diet recommendations for pregnant and nursing mothers, and I couldn’t agree with them more. The problem is, I can’t eat the majority of the foods that are given top priority due to food intolerances (which I’ve been working to correct in myself and son, but we’re not there yet). What I haven’t been able to find anywhere is information on what foods are second best or alternative ways to ensure that proper nutrition is being achieved. Do you have any resources? I recommend you supply a list of the foods you seek alternatives for and we’ll explore! That would be great! We have dairy and egg intolerances (even fermented dairy and raw yolks are an issue), and I have trouble with bone broth and many ferments due to histamine intolerance. I so hope for the day that we will be able to heal these issues and enjoy the nutrient dense goodness of those foods! Jas N Jules, Do you know which homeopathy remedies are helpful for correcting food intolerances and sensitivities? Can they be used *instead of* doing expensive testing, avoiding the foods, etc? you read my mind!! Sally of late has been spouting off on subjects she really doesn’t know anything about. AP being a classic example. Tandem nursing & child spacing are another subject that’s been grating on me. stick with nutrition, and what is recommended by weston price’s research. he is the expert here, not sally. I also found this tidbit interesting – it seems almost hypocritical after all the emphasis on traditional cultures. Research indicates pretty strongly that traditional cultures carried their babies everywhere – even older babies. Especially in some of the cultures Dr. Price surveyed. Eskimo mothers, for instance, hold toddlers in the hoods of their traditional garb. Inside I’m the babes were put down, but there’s still a lot of carrying going on. I’ve got several of my own kids now, and I definitely find that there’s a time and place for a swing (we don’t have a bouncy seat, but that could work, too), and I begin to help my littles learn to play alone once they’re older babies. But I don’t see a problem with carrying babies and even toddlers while you’re going about some of your day, taking a hike, shopping, etc. There’s plenty of time for holding AND for crawling and exploring in the day of an older baby / toddler, in my opinion. What you quoted from the book, Sandrine, seems much more balanced. I haven’t gotten to that point in the book yet, but now I’m looking forward to it with interest. I’m curious what’s wrong with being left handed? Both my brother and I are left handed (my mom didn’t have any ultrasounds either) and I’ve never felt it held me back in anyway. I always assumed it was just a variation of normal! exactly. I’ve personally corresponded left handed individuals with being more intuitive & creative than most. what the heck is wrong with left handers? I know this is pretty old, but I just wanted to add… Sally’s advice to put a baby in a seat is incredibly misguided. Children placed on infant seats, car seats, and swings, develop a tucked pelvis, which leads to improper posture. Please research the Gokhale method for more information on a tucked pelvis. the only time an infant should ever be placed in a seat is a car seat, because it’s illegal not to. And that should be kept to the absolute minimum. Anything other than that, you are dooming your child to a lifetime of back pain. Also, children should never be placed in an upright position before they can do it themselves. The same for walking. Forcing positions on infants creates lifelong skeletal and muscular problems. Again, research Gokhale method as well as Katy Bowman for more information. Ample floor time as well as being held and carried are really the only places baby should ever be. Everything else Sally touts, I mostly agree with, but her misguided stance on AP really grinds my gears. She places so much emphasis on indigenous cultures, what does she think they did with their babies? And in hunter/gatherer tribes, leaving the baby alone is incredibly dangerous. As well as leaving a baby to cry. It would have attracted predators and other warring groups. Also, the book “The Continuum Concept” talks about the emotional effects of leaving your child alone and not properly responding to her needs. It’s a must read for any new parent. I encourage you to contact Sally Fallon Morell directly with your feedback. You may reach her via the Weston A. Price Foundation or her publishing company New Trends.